Since the iOS App Store was launched back in 2008 more and more Christian apps are being published on it day by day. They have been well-received too! Averaging a couple of thousand to millions of downloads per month. Some Bible apps do not get as many downloads as the top apps like, YouVersion, but are competitive nonetheless. 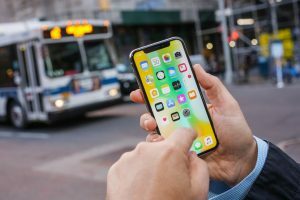 Christian mobile app developers were able to make enough income, even though their only intention was to evangelize to people who subscribe in the mobile app industry. As such the income they’ve made are redistributed to help expand their ministry which is good. This app is considered the most successful among all Bible apps in the App Store since its launch. It was downloaded 80,000 times on the first day it was published and has gotten over 200 million downloads as of December 2017 and counting! It has over a thousand versions of the Bible which includes(KJV, NIV, ESV, NLT, NKJV, AMP, NASB, CEV, NET, WEB, NCV, TNIV, HCSB, The Message, and others). It also comes in an audio format with, a bookmark tool to highlight your favorite Bible verses, recommended reading plans, as well as a subscribe button in order to get notifications daily. The YouVersion Bible App is among the top Christian apps in the App Store for believers to have some quiet time for self-reflection, or to pass the time when you’re waiting at the doctor’s office. The Pray As You Go app is an app that creates daily prayer sessions for you. Each session lasts between 10 – 13 minutes and it structures your daily devotional time, without the Bible study part. It is also not a sermon or an inspirational thought of the day, but rather the app that creates the framework for your own prayer and meditation. The prayer sessions combines soothing music to set the mood for meditation while in prayer, with some scripture passages and some questions for you to reflect upon. Some are timely with happening in your life, which helps you to pray about your struggles and eventually rise up from them. Pray As You Go might just be that perfect app you’ll need among the other Christian apps on your phone at the exact moment you need it. Do you often miss out on great Sunday service sermons by your pastor due to conflicting work schedules? Well, worry no more! Because with the SermonAudio app, you can get access to over 1.2 million recorded sermons from all over the world! 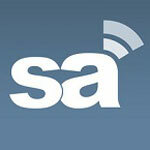 Search the app’s database by topic, speaker, featured sermons, or event categories. Plus, there are also video sermons that you can download to your phone and watch at your convenience. If you have trouble memorizing Bible verses, (which is important don’t you think), then all you need is the Verses app! 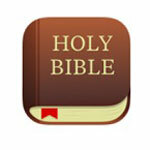 This app encourages you to memorize Bible verses through various, interesting games. For instance, it will let you complete different tasks which are designed to help you memorize each Bible verse. Wordbank and Typeout are just some of its features that you will absolutely enjoy! The Wordbank task tests your memorization skills by letting you fill in the blanks with scrambled missing words at the bottom of the screen. Meanwhile, Typeout is a more challenging test; because it lets you type the entire Bible verse from memory – and you have to get it right in order to score. There are dozens of other games that will enhance your memory, too. You can play solo or with your friends online. Verses is one of those Christian apps that helps you memorize scripture and enjoy yourself while you pass up the time. There’s an App for Every Aspect of your Life. Find them here in this List of Great Christian Apps! Dave Ramsey is a devout Christian who is the author of Financial Peace University and many other financial planning books, as well as a radio talk show host. He is the man who developed this app. Fortunately for us, Dave uses his God-given financial stewardship skills to help learn valuable skills for everyday. 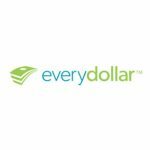 It’s a very useful app that lets you track your expenditures and, more importantly, your savings, too! There will be times in your life when days are filled with noise and feedback; your brain will feel as if it might implode from all the negativity. We all experience this and although we do not show it, we do wish for help sometimes. Christians who have been through the storms of life would often remind us to listen to God’s still small voice inside us, which is the voice of the Holy Spirit, when everything makes no sense. 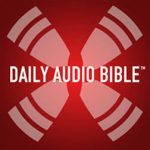 The Daily Audio Bible app can help you focus and tune in to that still small voice and calm your soul no matter how difficult your surroundings are. There are fun and exciting Christian apps for kids too! Just try to sample the Storybook Bible for Kids app and you’ll see. 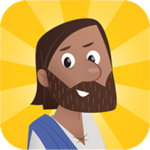 In case your kids are having a difficult time enjoying reading the Bible, then introduce them to the Storybook Bible for Kids app. It may be one of the best non-invasive ways to teach children about the Bible. It features 41 Bible stories, just for kids,that they will absolutely love. The app features, child-friendly navigation, as well as games and activities that will help them retain what they’ve learned. It also has touch-activated animations that make the Bible characters seemingly come to life; this will capture their attention. The app includes and it also has a two-year companion curriculum for churches that use this app for ministering to kids. The developers of the You & Me Forever App asked Francis Chan to help them develop it. As such, his entire book is included in this app. It features inspirational videos and exercises for couples to do at the end of each chapter of the book. Francis Chan’s book is also available in audio format that you can listen to from this app. You will find great Bible studies for couples to do together in the You & Me Forever App. You can also highlight and share parts with a “reading buddy,” who is preferably your romantic interest, fiancé’ or spouse. It’s a great app for engaged couples as well as married couples who want to build their relationship to last. forever. 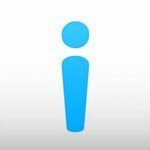 The iDisciple app is an all-in-one app for Christians. 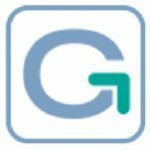 You can search for topics including articles, music, videos, radio, daily devotionals, growth plans, career, Bible, children/teens, prayer, spiritual growth, money and wealth stewardship, worldview, men, women and so many more!It’s a very helpful tool for any Christian to discover information and insight on things that matter when it comes to living the Christian life. The iDisciple is basically a whole lot of Christian apps packed into one app! It’s amazing! 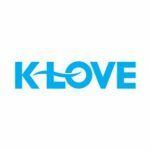 K – Love is an iPhone app that is a live Christian internet radio station and Christian music streaming software – all-in-one. If you want music that soothes your soul and brings you closer to Jesus with its meaningful messages, then you’ll need to tune. 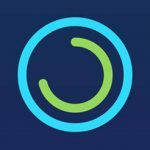 Aside from streaming Christian music, this app also has a live radio broadcast, upcoming events list in your area, as well as in other cities, and a way for you to connect to other listeners. In summary, these are some powerful ways to utilize your iPhone, aren’t they? While there are many useful and junk apps in the app stores, Christian apps bring you Godly enlightenment and hope. Use these apps to build your character, grow closer to God and share Christ with others.